The Bernie Mac Show joined a two-hour Fox comedy Wednesday block, which premiered in mid-November after baseball alongside returnees Grounded for Life and Titus, but it quickly showed why it was placed in the 9:00 anchor role. It opened with a 5.5/5.7 for its one-hour premiere on 11/14/01. It had the misfortune of airing week two on Thanksgiving Eve, which dropped it to 3.9, but it was back up to 5.1 in week three and stayed in the vicinity of 5.0 through the winter months. Its 106 A18-49+ was considerably bigger than the surrounding shows, Grounded for Life (83), Titus (86) and the midseason newbie That '80s Show (79). So while Bernie was a success, the lineup as a whole wasn't much to write home about, and it was shrunk to one hour in fall 2002 to make way for drama newbie Fastlane. At 8:00, Bernie settled in only about the mid-3's through the late fall. But Fox made up for it in the winter, returning Bernie to the 9:00 slot and, more significantly, airing it after American Idol results shows in Idol's first regular season run. This boosted The Bernie Mac Show to its highest levels ever, including a string of 5's in the winter and 6's in the spring, even if they were only about 60% of the Idol lead-in. Bernie ended season two on a new series high 7.6, airing after the penultimate Idol results show (11.4). But Bernie's modest results from the fall and only OK Idol retention had taken it off of Fox's priority list. Once again, Fox gave one Wednesday hour to a drama (The OC), and this time Bernie Mac wasn't strong enough to win one of the comedy slots. 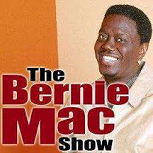 Bernie Mac was left without a permanent home for season three, first showing up for a few months on Sunday after The Simpsons. In the spring, it moved to lead-off Monday alongside weak newbie Cracking Up, where it fell below a 3.0. It actually aired a few leftover episodes on Tuesday in the summer. Fox decided to go back into the two-hour Wednesday comedy business for fall 2004, re-installing Bernie Mac in the old 9/8c perch where it had been strongest. But the damage had been done in season three; after a decent 3.2 premiere, Bernie wasn't even close to a 3.0, and its newbie lead-out Method & Red was even more dire. There was also a delay in production due to Mac's health issues, and so the second half of the comedy block wasn't seen again after baseball. Reality newbie Nanny 911 took over (and did much better). In the winter, Bernie was moved to its final resting spot, in a lead-off role on Friday. It averaged just barely over a 2.0 in twelve airings that season, which was enough to eke out one more season. But the pairing with former hit Malcolm in the Middle was a disaster in 2005-06; neither show broke a 2.0 on Friday even once. It ended its five-season run burning through two episodes per week on its final three Fridays, and the one-hour series finale on 4/14/06 was at 1.3, just a tenth above the series low (from earlier that season, on 12/2/05).